I don't think rock n' roll is an easy business to be in. I don't think rock n' roll is an easy business to be in particularly if you are a woman. Last week I had the distinct pleasure of finally seeing one of my all-time favorite female performers. One who I have enjoyed since she and her band first exploded on the post-punk music scene back in 1980. A performer who has definitely had her share of hits and misses. A woman whose “forthright sexuality and independence” along with her brilliant musicianship, vaporized stereotypes women in rock n' roll had been expected to accept for decades. Chrissie Hynde is a survivor, and she means business. With the exception of maybe Lucinda Williams, she is without a doubt, the sexiest woman in rock n' roll. Last Sunday she stalked the stage like a panther in tight blue jeans and stiletto heels. Although the vocal mix wasn't great, her voice was as beautiful as ever. It was a night full of interesting choices — not just classic hits. Being from Cleveland I was hoping (and expecting) to hear “Precious” (with its reference to ”moving through the Cleveland heat” and “E 55th and Euclid Ave.”) and “My City was Gone” (with its references to “going back to Ohio”). The band played neither song. They did, however, play a killer version of this song; an obscure and hard to find track released on the ep, Extended Play, that was hurriedly released between the first and second albums to keep the band's popularity momentum rolling. 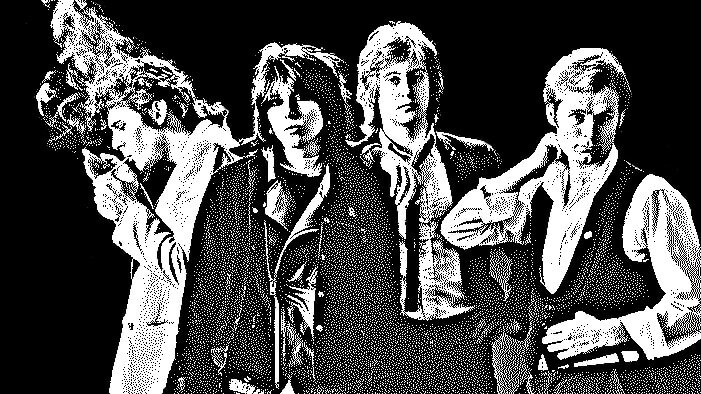 The Happy Medium Song of the Day is “Cuban Slide” by The Pretenders.